The State Bank of Wynnewood understands the importance of your convenience, and we offer the latest in amenities for the busy consumer. 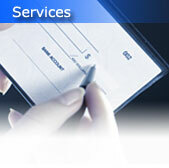 From TeleBanking to ATM/Debit Cards, we can help you get the most from your banking experience. You can also keep your valuables safe with one of our many safety deposit boxes. In addition to this Web site, The State Bank of Wynnewood offers you an additional means of 24-Hour Access to your account information. TeleBanking offers you the secure freedom of immediate access to your account balance, the knowledge of when checks have cleared and the opportunity of transferring funds between accounts. Plus, much more. By calling (405) 665-2002, bank customers can enjoy the experience of quality service that telephone banking provides. The desire of many customers for more convenient purchasing methods has resulted in the wide spread usage of the ATM Card and the Debit Card. The State Bank of Wynnewood offers its customers the service of both ATM and Debit Cards. By using the ATM Card, you can access your account from more than 100,000 locations worldwide. You can get cash, make deposits, check an account balance and more. The Debit Card can be used in place of cash, check or credit card, and the amount needed is deducted from your checking or savings account. Contact us today to apply for a card so you can begin utilizing the convenience that you’ve always wanted. The importance of protecting and preserving your personal items is as essential today as it was years ago, and personal security is essential for everyone. Some items to consider protecting: an abstract, last will and testament, birth certificates, nostalgic family photos, etc. Each of these things are often priceless and irreplaceable and they need the appropriate care that a safety deposit box can provide. The State Bank of Wynnewood offers safety deposit boxes in several sizes, and each is suited to fit the individual needs of our customers. By contacting us, we can assist you in finding a box tailored to fit your specific needs.